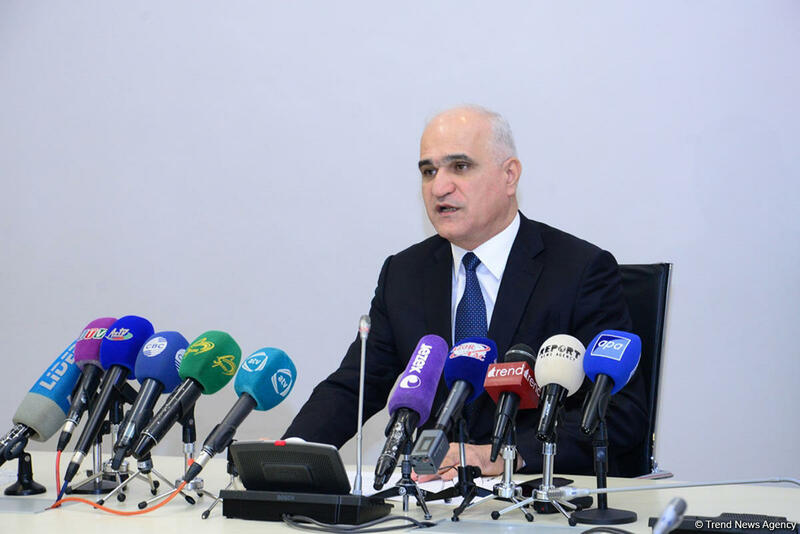 Azerbaijan expects that 10-15 percent of goods sent from China to Europe will pass through its territory, Economy Minister Shahin Mustafayev said at a press conference on the Azerbaijani-Chinese economic relations on Feb. 13. The minister noted that one of the main tasks is to increase the flow of Chinese goods going to Europe through the territory of Azerbaijan. In 2017, more than 100 million tons of cargo were transported from China to Europe, he said. He added that the Baku-Tbilisi-Kars (BTK) railway is of great importance for China. The minister also added that China will participate in the annual conference of the International Association of Ports and Harbors (IAPH) to be held in Baku in May.